Female lawmaker and former Afghan presidential candidate Shahla Atta was found dead at her home in Kabul this morning. The chief of Kabul Police Department’s Criminal branch did not say whether foul play was suspected and refused to give details, according to Radio Free Europe. Atta, 50, ran for election in the 2009 presidential ballot and was currently serving as an independent legislator. Atta was born in Afghanistan in the 1960s, but lived outside the country for several years. She spent around 18 years in the United States before returning to Afghanistan after 9/11. According to NPR, she was a widow with five children, all of whom still live in the U.S. Having gained experience as a parliamentarian representing Kabul, she challenged President Hamid Karzai in Afghanistan’s 2009 election. Around 30 candidates stood for election; Atta was one of only two women — the other was Frozan Fana, an orthopedic surgeon. At that time, BBC reported that Kandahar, Atta's home province, was a high-risk area with patches of land under Taliban control. Incumbent President Karzai also hailed from Kandahar, and ended up winning the election — though his triumph was dogged by allegations of widespread election fraud. The gomnaam [unknowns] know they have a greater chance of being killed in a suicide attack than becoming Afghanistan's next president but this has not stopped them from registering. The Huffington Post also commended Atta on her bravery, pointing out that the lone female candidate in 2004 attracted just 1 percent of the vote. Atta did not seem intimidated. “The people have tested men, but they did not get anything,” The Huffington Post quotes the presidential hopeful as saying. “Now, why not see what a woman can do? I know I can do it, I am strong.” In a country where 80 percent of the women are illiterate, university-educated Atta’s approach was all the more bewildering. And yet, being female and involved in Afghan politics is a risky business. Last November, vocal MP Shukria Barakzai — a supporter of recently elected President Ashraf Ghani — was hurt in a suicide bomb attack that targeted her vehicle. Three others were killed in the blast. 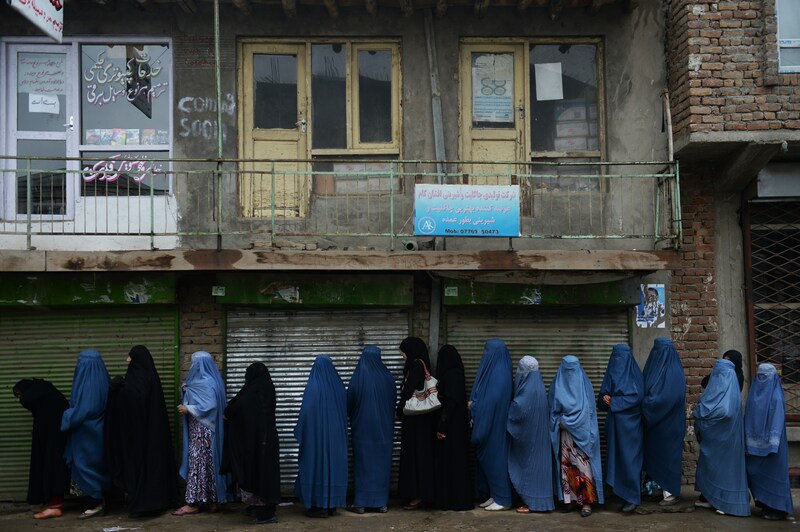 In 2008, The Guardian reported that Afghan women who publicly opposed the reactionary status quo were increasingly under threat, with rapes, acid attacks, and death threats growing more common. The cause of Atta’s death remains unknown, which has not prevented rumors from fluttering across Twitter. Some suggest that Atta’s death was precipitated by excess alcohol consumption. This seems more likely to be a smear campaign than the truth, especially considering Afghanistan’s fairly puritan stance on alcohol. Liquor is banned, and a World Health Organization fact sheet suggests that there is almost zero consumption across the country. While these figures might be tamped down by cautious self-reporting (and there are suggestions that Afghanistan plays host to a thriving liquor black market), the pernicious rumor mill surrounding Atta’s death is as yet ungrounded in any verifiable information. The police investigation continues.